Ring in the Holiday Cheer with your pup! 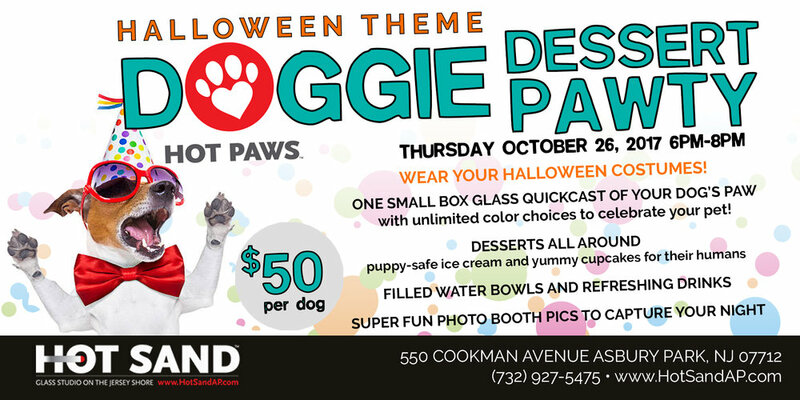 DOGGIE DESSERT PAWTY Thursday December 14, 2017 6pm-8pm at Hot Sand! Bonnie has Hot Sand AP boots on the ground at Barnes and Noble in Eatontown, NJ 11/11/2017 from 11am-4pm at the 3rd Annual Minimaker Fair. 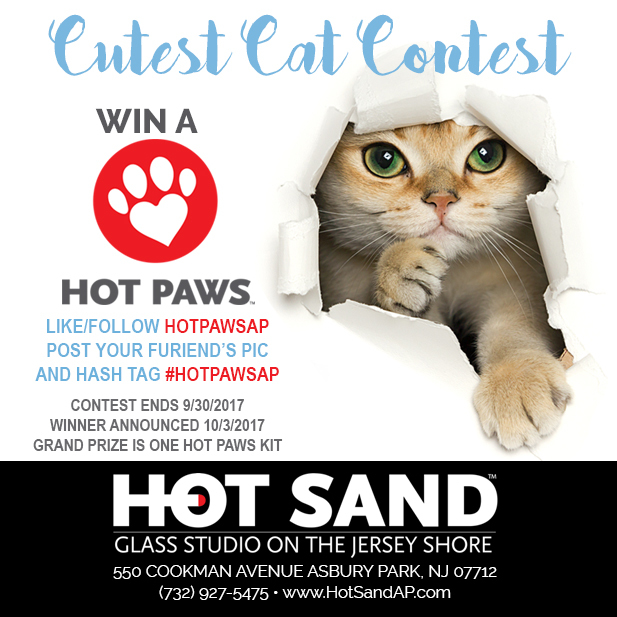 Stop in and learn about the Hot Sand glassblowing experiences available to you! You're invited to our Hot Sand AP Pumpkin Pageant happening Thursday October 19, 2017 from 6pm-8pm. FREE to the public and fun for all ages! Enjoy falltastic snacks, harvest cider, glassblowing pumpkin demo, and a pumpkin patch full of glass magic all colors shapes and sizes ready to pick! Celebrating 10 Years of blowing glass at the Jersey Shore! The Glass Gallery will be open for shopping and pick ups from 10am-2pm. No walk-in Glassblowing Activities are available at this time as our Hot Shop is closed for the holiday. Sign up now to reserve your spot to blow a drinking glass on St. Patrick's Day! Create your very own hand blown pint glass with the help of one of our talented glassblowers!